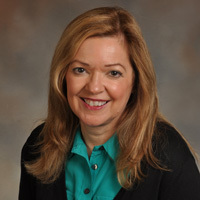 As the director of the Center for Teaching and Learning, Terri oversees the work of the center, leads the instructional design staff and consults with faculty on instructional topics that include teaching online, designing curriculum, and developing learning outcomes. She directs the Curriculum Enhancement Grant initiative Prior to joining the Center for Teaching and Learning in 2000, she served as the director of associate faculty development in the IUPUI Office for Professional Development. She began teaching part-time for the Department of Psychology in 1994, most recently teaching an online Child and Adolescent Psychology course. Terri was the Co-PI on a National Science Foundation grant titled The Role of Centers for Teaching and Learning in Improvement of Undergraduate Engineering Education Workshop. She belongs to the Professional and Organizational Development Network, a professional organization for educational developers.